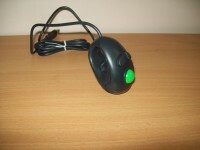 The Airobic Mouse has a unique design which removes much of the stress and strain found with using a standard mouse. Offering a new approach for RSI sufferers, it repositions and supports the hand and wrist, thus minimizing pressure on the muscles and tendons. It removes static posture, a working position that keeps muscles tensed, associated with the development of hand injuries in computer users. This is the only mouse which allows you to work in what agronomists call a functional neutral position. Functional neutral is a working posture that allows muscles that are impaired, or are at risk of impairment, to be kept at rest (neutral), whilst allowing you to work with your mouse in the same way you have always done. This Bar Mouse can be easily adjusted for use with either hand. A built-in mouse port makes it possible to add an additional external mouse for an even more varied working posture. With its low-rise design, Bar mouse is designed for use with both standard and modern slim-line keyboards. Ruggedly built and great for kids or adults with mobility or fine motor limitations. Features a 3-inch yellow ball with 2 blue buttons (for left and right mouse clicks) located behind the trackball to avoid unwanted clicks. 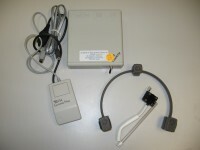 Works on any Windows or Macintosh computer that has a USB or PS/2 port. Is able to co-exist with a conventional mouse on the same computer. The mouse is very to use and it plugs in your computer's USB port, not needing any additional software. 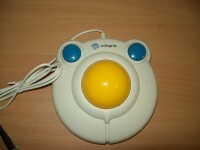 It is perfect for the small hands of children and especially for the children with disabilities who can't use a regular computer mouse. 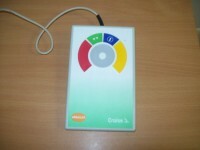 It is highly recommended for educational games or language learning applications. 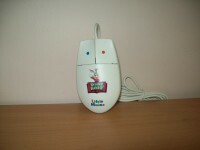 Chester computer mouse is designed so as to be used by both right-handed and left-handed children, so they can operate it with both hands without a problem. 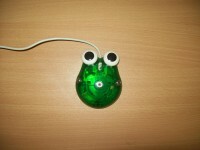 Even if the rest of the mouse is black, the green button of Chester mouse adds a tone of joy and happiness that should be present on all kids stuff. The Microsoft Comfort Optical Mouse 3000 makes it easier to scroll through documents and web pages quicker. 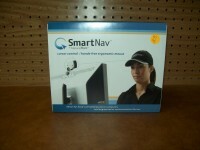 It has a Magnifier function that lets you easily enlarge and edit details. Additionally, the Microsoft Comfort Optical Mouse 3000 also has 4-way scrolling capabilities for greater efficiency and comfort with tilt wheel technology. The Microsoft Comfort Optical Mouse 3000 is comfortable in either hand, with an ambidextrous design that makes it comfortable either way. There are also customizable buttons which provide you with quick access to the media, programs and files you use most often. Additional features include high definition optical technology. 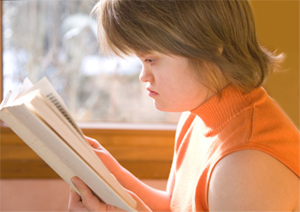 For students with significant motor skill and mobility challenges, Cruise represents a major breakthrough in computer access and cursor control technology. Unlike a mouse, trackball or joystick, Cruise requires no hand or wrist movement, and unlike a touchpad, the cursor does not have to be “guided” around the screen by constant finger movement. Instead, this unique device allows users to control the speed and direction of the cursor with a single, soft touch of its control ring. Plus, Cruise can store personal settings for automatic retrieval each time the computer is powered up. Designed for children and adults with a range of cognitive and physical abilities, EasyBall makes screen navigation fun and easy. Its stationary design means you don't have to reposition the mouse when you run out of desk space, and its whimsical fried egg look and bright primary colors are inviting. 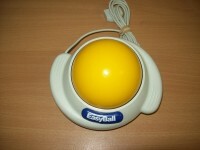 EasyBall separates the act of pressing one large, easy-to-locate button from that of rolling the ball, helping people to avoid accidentally moving the cursor. EasyBall can be connected to the computer simultaneously with a Microsoft-compatible mouse. 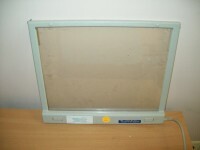 A touch screen that attaches over a computer monitor for direct selection. With a simple touch the computer responds and allows students to make selections, move objects, pull-down menus, and write with onscreen keyboards. These touch windows are compatible with older computers and Macs. Ergonomic optical mouse features a unique, ergonomic "handshake" grip design that has been clinically proven to reduce muscle strain and discomfort from pressure on the wrist's median nerve. The design alleviates discomfort associated with carpal tunnel syndrome and repetitive stress injuries. USB/PS2 compatible. 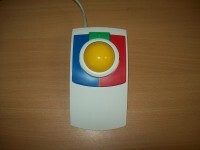 Optical mouse offers a third button scrolling feature. Designed for right-handed use. 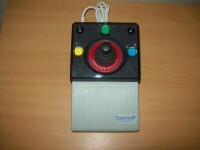 It has 4 programmable buttons to handle repetitive mouse tasks such as double click or drag lock with a single click. Surrounding the ball is Kensington's Scroll Ring that puts scrolling right at your fingertips. More comfortable than ever, the Expert Mouse comes with a soft, detachable wrist rest. The ergonomic design of this 3-button mouse/trackball combination is ideal for home, office, or the mobile traveler. It is compatible with windows 95/98 and Windows NT can be operated in various ways, avoiding harm to palm joint or muscle. User doesn't have to sit close to the monitor by using this track mouse. The mouse can control the cross coordinates sensitively, simply with the thumb. If you are unable to use your hands because of a disability, but you have good head control, you can now operate a personal computer. HeadMaster, from the Prentke Romich Company, replaces the mouse with a lightweight headset. The headset moves the cursor where you look on the screen. When you turn your head to the right, the cursor moves to the right. When you turn down and to the left, the cursor instanly follows. Activation of the puff switch or an optional external switch makes the selection. Optional "on-screen" keyboard programs allow for hands-free typing. Just by turning your head a few degrees and puffing into a tube, you are able to use hundreds of popular softeare programs. 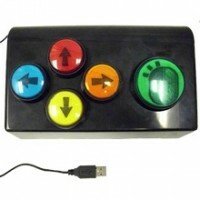 This is a sturdy three button switch adaptable pointing device. They come in a large 2.5" trackball. They have separate buttons for left click, right click and drag lock with color corresponding switch ports on the back of the units. A flashing light indicates the drag button has been activated. The Roller II products include a key guard to help users isolate on the buttons. 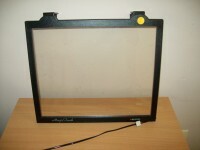 Instantly convert your standard monitor display (LCD or CRT) or notebook computer into a touch-interactive device. With a simple touch the computer responds and allows students to make selections, move objects, pull-down menus, and write with onscreen keyboards. The MagicTouch Touch Screen's USB interface is compatible with Windows or Mac operating systems. 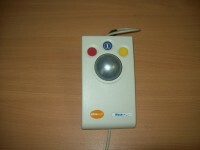 This trackball uses an optical sensor. It has plugs for both USB and PS/2 sockets. Symmetrical shape makes it usable by both right and left handed people. 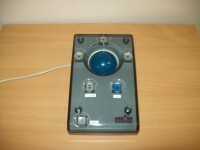 The Mouse Button-Box, is a switch-adapted mouse emulator designed for use by individuals with fine motor, neurological, or severe physical disabilities, spinal cord injury, or cerebral palsy. This interface is available with left- and right-click buttons on the left, left- and right-click buttons on the right, one large button on the left, or one large button on the right. Pressing two adjacent buttons moves the cursor diagonally. The unit has a USB connection so it works on both Macintosh and Windows (requires accompanying software for both). It has adjustable speeds and functions, including dwell-click in Windows. The mouse is very to use and it plugs in your computer's USB port, not needing any additional software. It is perfect for the small hands of children and especially for the children with disabilities who can't use a regular computer mouse. TRAXSYS' Roller II lines are sturdy three button switch adaptable pointing devices. They come in either a large 2.5" trackball or a 3" joystick. They have separate buttons for left click, right click and drag lock with color corresponding switch ports on the back of the units. A flashing light indicates the drag button has been activated. The Roller II products include a key guard to help users isolate on the buttons. INCLUDED with the Joystick are the two alternative handles to accommodate different input needs: T-Bar AND Soft Sponge Ball. is an easy-to-use, comfortable alternate input device for those who find the mouse or trackpads difficult to use. 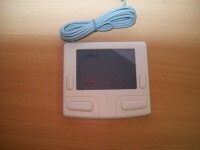 It’s designed for mainstream or special education classroom and has an extra button for click and drag function. The "Plus" series gives you even more controls with buttons for all mouse functions. All models include removable plate that helps locate and target buttons. The large 2 1/2" ball is sturdy and easy to use. Five speed settings change by just touching the speed button. Button presses require 2 1/4 oz. pressure. Red light indicates drag button is active. This Trackball is only compatible with older computers. The Cirque Smart Cat adds comfort plus performance to computer control with an extra-large touch surface, intelligent software, one-touch scroll and zoom, and distinctive sounds for each operation. Basic mouse functions are a snap. Simply access right-clicks by tapping a finger in the touchpad’s upper right corner, and quickly activate vertical/horizontal scrolling as well as magnification tools by gliding a finger along the touchpad edges. Inexpensive button and switch interface! Pressing the button acts like a mouse-click within any software. The Switcheroo also provides a place to plug switches into a computer. There are 3 switch inputs in the Switcheroo. When you plug switches into a jack, the switches become standard mouse-clicks. This is a mouse that was turned into a switch to help people with disabilities that aren’t able to use a regular mouse. Provides a place to plug switches into a computer. There are 3 switch inputs when you plug switches into a jack, the switches become standard mouse-clicks. Fusion combines the features and programs you’ve been asking for! No other portable keyboard offers the range of features available on Fusion. Text to Speech Interactive, motivating and instructional; your students simply press the “Speak” key to hear their written work read back to them. Words are highlighted as they are spoken. Speech output combined with a large, clear, visual display improves expression, fluency, and grammar. WordStorm word prediction is now available to help those with spelling and keyboarding challenges. With a tap of the “Word Prediction” key, students will activate this special program and access the prediction list. WordStorm is a powerful and comprehensive prediction program. You and you’re students will love the accuracy and options available. Auto capitalization of the first word in each sentence Auto Space after each selection Adjustable dictionary size Phonetic or Creative spelling options Topic specific word lists Learns as you write Text to Speech read back of each word option All Fusion units can be upgraded with WordStorm through the Compact Flash memory expansion port. Writing Support Options Thesaurus Spell Check Cut, Copy, Paste Dictionary Additional Features and Programs Easy Wireless File Transfer. Simply plug an infrared receiver into any Mac or PC, open any word processing document (or any text box), point and press “Send”. No software to load. Nothing to configure. Auto Headings - Files sent to the computer or printer appear with a complete automatic heading. 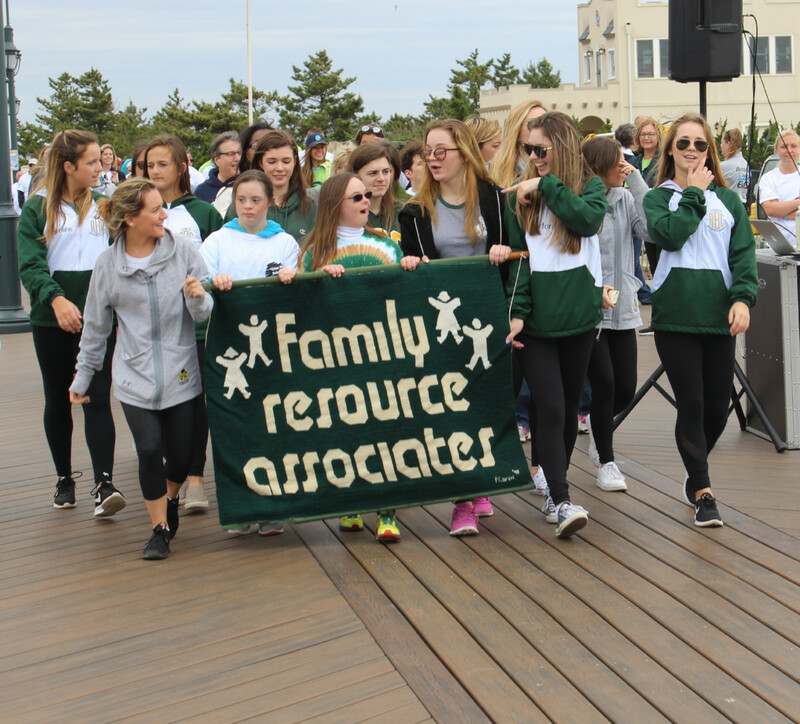 The heading includes the student name, teacher name, file name and the date. This is a huge organizational help to both the student and the instructor. On-board checklists include: “Good Writing” - (A general checklist) “Perfect Paragraph” “Six Traits of Writing” “Response to Literature” “Persuasive Essay” “Multi Paragraph Essay.” Only Fusion (and Writer) offer easy (and easy to edit) on-board writing checklists. 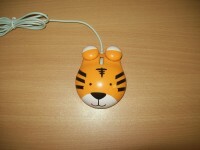 The Tiger Mouse makes computing fun! Built for small- and medium-sized hands, the Tiger Mouse is ideal for youngsters - and the young at heart. Truly plug-and-play, the Tiger Mouse operates without any set-up and provides smooth and accurate control on virtually any surface. It's perfect as a second mouse for your family computer at home, and is also a travel companion for use with your notebook. Boost Tracer is a head-controlled mouse emulator designed for use by individuals with spinal cord injury, cerebral palsy, muscular dystrophy, multiple sclerosis, ALS, carpal tunnel syndrome, or any other disability where the user lacks the hand control to use a standard mouse but retains good head movement. 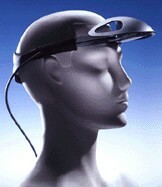 A micro-gyroscope senses the user's head movements, then transmits those movements to the computer using radio frequency (RF) waves, with an operating range of up to 15 feet. Custom switches can be plugged into its two standard 1/8-inch mono adaptor ports to allow left and right click buttons to communicate through the same RF connection. Up to seven different units can be used in the same work area without interference, false clicks, or crossed signals. This unit is ready to use right out of the box by plugging it in. It comes with a gyroscopic visor, a radio transmitter that doubles as a desktop mouse, and a receiver that also serves as the recharge cradle. The low profile of the Trackball acts as a natural hand rest mirroring the natural contour of your hand. 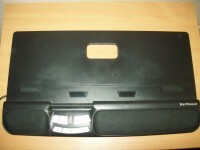 It is designed to easily accommodate right and left handed users, as well as different size hands. You will enjoy this trackball's ability to dynamically accelerate across the screen as the ball is turned. There is no need to move your arm in order to rotate your wrist from side to side. The special 'Ambidextrous Trackball' feature allows switching from left to right handed use without changing your system settings. The TrackMan Wheel requires only finger and thumb movements, so it requires little desk space. Because the device works independently of the surface it is used on, the TrackMan Wheel can even be used almost anywhere (even in your lap) with no problems. The trackball moves smoothly under the thumb, and the resulting cursor actions are equally smooth and precise. The tracking is precise enough to make text selection easy, even in the first few minutes of use. The buttons offer feedback, both with an auditory click and noticeable movement. The scroll wheel has a rubberized coating, offering a tactile separation from the plastic buttons surrounding it. Using the scroll wheel as a button was a little mushier than expected, but still adequate. Tracker One is a truly revolutionary head pointing device. 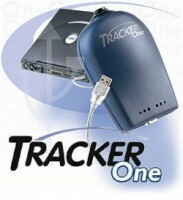 Tracker One makes computer access even easier. It operates from the USB port of your computer or compatible AAC device and gives you the freedom to be completely mobile without need of battery packs or power adapters. Tracker was developed to give mouse control to people with Quadriplegia, Cerebral Palsy, Multiple Sclerosis, Muscular Dystrophy, ALS, Carpal Tunnel Syndrome and any other disability where the user has little or no control of their hands to use a standard mouse. You can point with Tracker, but how do you click? The answer: MagicCursor 2000 which provides universal mouse button functions through alternative means, such as dwelling or gesturing. MagicCursor 2000 is for people who can't, or don't want to click the mouse button. It performs all the mouse button functions automatically through software. All you need to be able to do is point: MagicCursor automatically takes care of the rest. 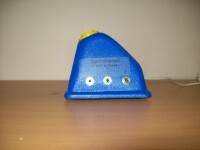 It is an ideal companion for the Tracker head operated mouse products. Instead of clicking the mouse button, simply dwell over the item you want to select. After a preset amount of time, MagicCursor will automatically perform the click for you. This mouse has an upright surface that supports the hand and forearm in a neutral, relaxed handshake position. It eliminates the forearm twisting required by ordinary mice to greatly improve comfort, especially for prolonged use, such as Web browsing and photo editing. 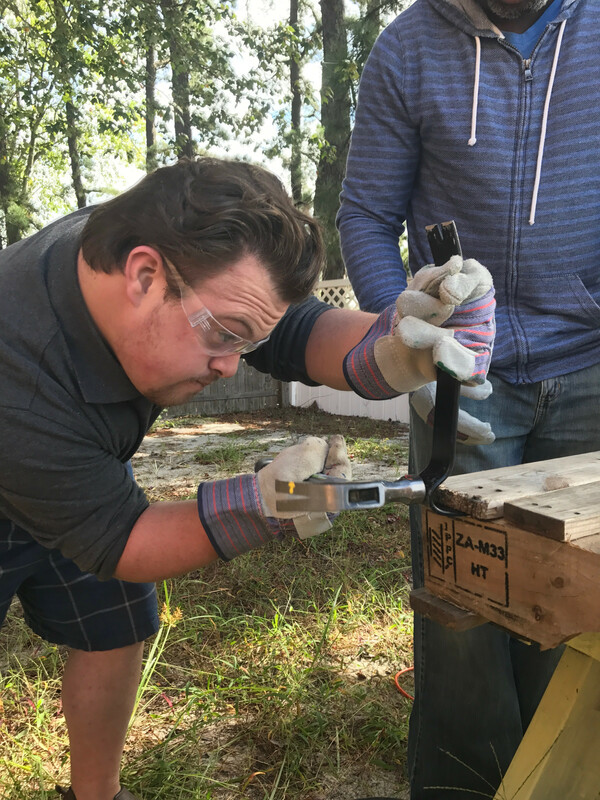 It supports the fingers in extended positions to allow small movements to be made by moving the fingers, without moving the entire arm. It also supports the thumb for added comfort. Specifically designed for users with limited hand control, motor skill difficulty, hand-eye coordination challenges, and/or involuntary muscle spasms, Able Net’s WAVE features an oversized trackball with free-running movement that requires only the slightest touch. Color-coded buttons allow for left/right clicks, as well as drag lock, giving users the ability to “lock on” to a screen object so it can be dragged without continuously pressing a button.